If you have a severely damaged or infected tooth, do not have it pulled! We can save it with a root canal in Aurora. Although they have a bad reputation for being painful, new advancements in dentistry now make them no worse than a traditional filling. The endodontic procedure reinstates your tooth’s health, allowing it to remain strong and healthy for several years to come. In fact, when performed by a qualified and an experienced dental professional, they have over a 95% success rate. Supported by continued training in dentistry, Dr. Ricci and Dr. Mauck can save your smile. Root canals are one of the most commonly performed restorative treatments. On average, more than 15 million are conducted each year. Although they are common, they are only recommended when there are no other viable treatments to save your tooth from extraction. The procedure involves removing any areas of decay from your enamel and dentin. 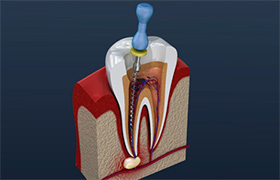 The inner layer of your tooth, known as the pulp, is taken out. Your tooth is sterilized and sealed to restore its health. To reinstate its function and appearance, a custom-made dental crown is placed over it. Lingering sensitivity when exposed to hot or cold foods and drinks. Pain or tenderness when applying pressure to the tooth. Pimple-like bump appearing on the gums near the tooth. After your consultation, you are scheduled for your procedure. A local anesthetic is used to reduce any discomfort. 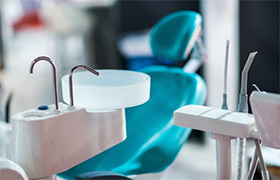 Special dental tools remove the areas of decay and the pulp. Your tooth is sterilized before being sealed using a special material called gutta-percha. An impression of your mouth is taken to create a high-quality restoration. It is crafted from all-ceramic material to look like a natural tooth. It is designed to meet your exact size, shape, and color needs to blend in when you smile. The specifications are sent to the dental lab where they make your crown. It can take the lab a couple of weeks to make it with accuracy, so we attach a temporary one while you wait. After your permanent restoration is sent back to our office, you return to have it bonded in place. With the right aftercare, your new crown can last an average of 10 years before needing to be replaced. After your procedure, it is normal to experience some slight tenderness or pain for a couple of days. It is best to avoid chewing in the tooth until it subsides. You can also take over-the-counter pain relievers to manage your discomfort. In no time at all, you will not even notice that the crown is not your natural tooth. 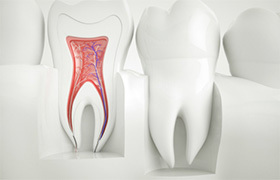 If you have a damaged tooth, we can save it from an extraction. Contact our office today to schedule your consultation for root canal therapy.